Lowest Prices on Flagpole Rope and Parts. 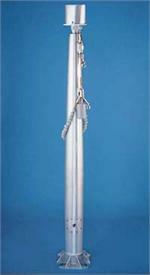 Full line of Flagpole Replacement Parts, Flagpole Hardware and Flagpole Rope. 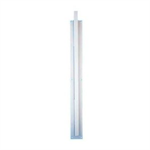 If you don't see an item, please call us at 800-669-9639 and we will provide you with the right fagpole part.We stock all types of parts for Aluminum, Fiberglass and Steel Flagpoles. 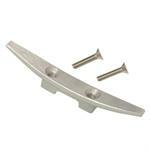 We offer all the flag pole hardware including Flagpole Ball Oranments, Flagpole Flying Eagle Ornaments, Aluminum Church Crosses, Flagpole Trucks, Flagpole Rope Pulleys, Flagpole Trucks for External and Internl Halyard Flagpoles, Pole Cap Adapters, Flagpole Caps, Eyebolt Assemblies, Vertical Mount Pully Assemblies, Threaded Top Plugs, Cast Aluminum Cleats, Bronze Cleats, Stainless Steel Cleats, Cleat Cover Boxes, Halyard Channel Covers, Anti Theft Devices, Locks and Keys, Wall Mounted Halyard Covers, Wall Mounted Cleat Boxes, Cam Action Cleats, Stainless Steel Cable, Solid Brass Swivel Snaps, Nylon Snaphooks, Stainless Steel Swivel Snaps, Spring Clips, Vinyl Snap Covers, Rope cut to length, Spool of Rope, Wire Center Halyard, Pre Bagged rope, Technor Flagpole Halyard, ZipKlip Flag Fasteners, M Winches, Internal Halyard Parts, M Winch Handle, Locks and Keys, Stainless Steel Winches, Winch Handles, Winch Lubricant, Cam Action Cleats, Flag Arangemetns, Deluxe Flag Arrangement, Cable Assemblies, Rope Assemblies, Rope Retainer Rings, Beaded Flagpole Ringss, Internal Halyard Doors, Internal Halyard Door and Frame Unites, Fiberglass Flagpole Doors, Flagpole Counterweights, Quick Links, Flash Collars, Ground Sockets, Flagpole Lighting, Obstruction Flagpole Red Beacon, Tunnel Lights, Non Tangle Rods, Flagpole Plaques, and Flagpole Cleaner at the lowest prices. Flagpole Rope Halyard, cut to your length, spools, braided nylon or wire core nylon , all colors, lowest prices, Made in the USA. Flag pole Snaphooks and Covers, all types , all sizes, lowest prices.